Channel is where you can set the storyboard or project settings for your i3Display panels. 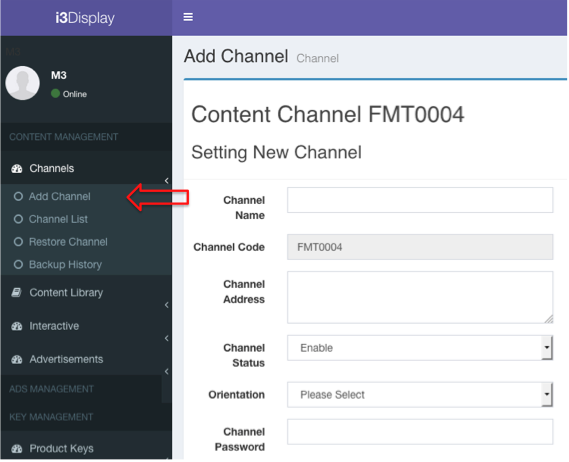 You can have multiple panels accessing to one channel not one device accessing multiple channels at one time. How to create Content Channel? 1. 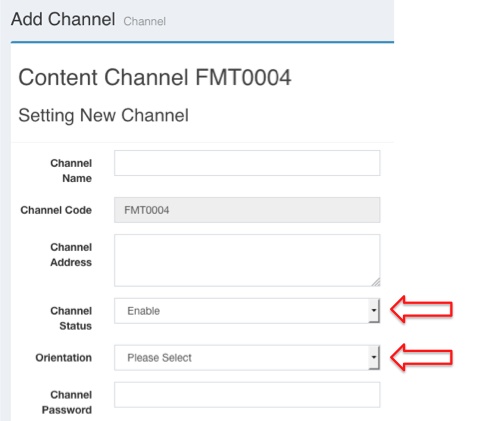 Go to Content Management, click on Channels menu and choose Add Channel. 2. Enter all required fields. 3. Keep the Channel Status as enable. 4. Select your content channel/project presentation style under Orientation. 5.Lastly click on the Save button.